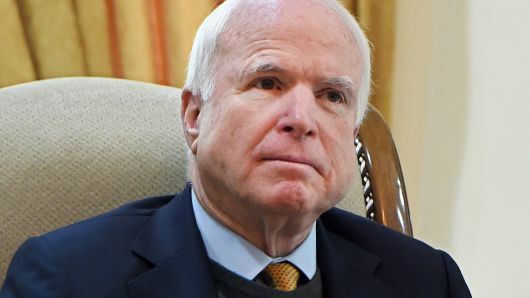 John Sidney McCain III was born on August 29, 1936 and died on August 25, 2018. He was an American politician and military officer. He served as a United States Senator from Arizona from 1987 until his death. He was the Republican nominee for President of the United States in the 2008 election, which he lost to Barack Obama. McCain graduated from the United States Naval Academy in 1958 and followed his father and grandfather—both four-staradmirals—into the United States Navy. He became a naval aviator and flew ground-attack aircraft. During the Vietnam War, in Hanoi in October 1967, he was shot down, seriously injured, and captured by the North Vietnamese. He was a tortured prisoner of war until 1973. He retired from the Navy as a captain in 1981 and moved to Arizona, where he entered politics. John McCain at Coco Solo Naval Air Station in the Panama Canal Zone, to naval officer John S. McCain Jr. and Roberta (Wright) McCain. He had a younger brother named Joe and an elder sister named Sandy. At age 28 on July 3, 1965, McCain married Carol Shepp, who was a model from Philadelphia.McCain adopted her two young children Douglas and Andrew.He and Carol then had a daughter named Sidney. McCain was reunited with his family when he returned to the United States. His wife Carol had suffered due to an automobile accident in December 1969. McCain met Cindy Lou Hensley, a teacher from Phoenix, Arizona, whose father had founded a large beer distributorship.He then divorced his wife Carol in February 1980. McCain and Hensley were married on May 17, 1980. McCain and Cindy had their first child together, daughter Meghan, followed two years later by son John Sidney (Jack) IV, and in 1988 son James (Jimmy). 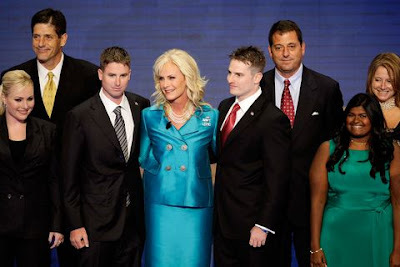 In 1991, Cindy McCain brought an abandoned three-month-old girl needing medical treatment to the U.S. from a Bangladeshi orphanage run by Mother Teresa.The McCains decided to adopt her and named her Bridget. He died on August 25, at 4:28 p.m. with his wife and family beside him, at his home in Cornville, Arizona, aged 81. He was a "lifelong Episcopalian" who attended, but did not join, a Southern Baptist church for at least 17 years.